The aerospace industry has very stringent inspection requirements, with the sampling rate often two or three times that required for industrial applications. Customers in this market segment also require a high process capability index and some dimensions are monitored with statistical process control. In addition, components for this industry are typically manufactured of stainless steel, aluminum, titanium, Inconel, and other exotic alloys. Prospect Machine Products complies with all these requirements and can also provide traceability to raw material. Plus, our team conducts Design Failure Mode and Effect Analysis (DFMEA) as needed on some parts. 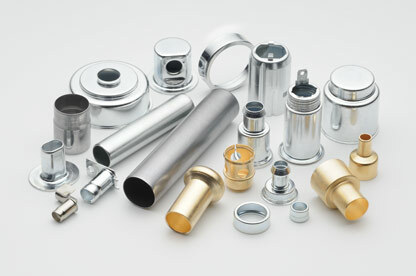 We have experience in closed-end containers, light sockets, sleeves, housings in aluminum, stainless, and copper, as well as bearings. As is the case in other market segments, PMP’s aerospace expertise enables us to deal effectively with all the industry’s requirements for deep drawn components.